Have you noticed an uptick in the number of social media consultants and social brands launching Podcasts? I have… which got me to thinking, are we seeing a resurgence in Podcasting? Will 2013 be the year of the Podcast? 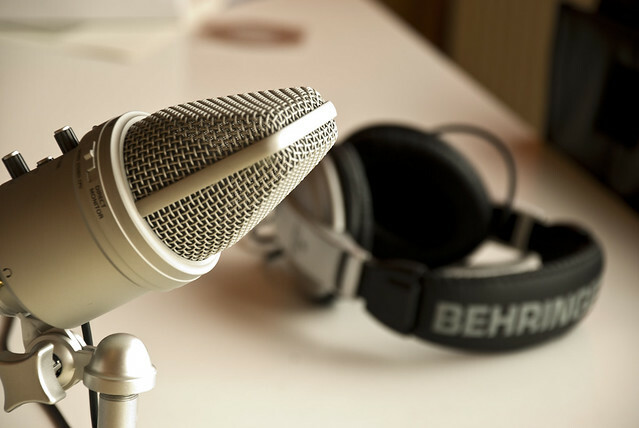 Should your company be considering a podcast as part of your overall digital marketing strategy? That’s a question a lot of folks have been mulling over this year… so let’s see if the data can help us answer this question. According to a recent Edison Research Study on the Podcast Consumer, awareness of Podcasting has grown 105% since 2006 from 22% in 2006 to 45% in 2012. Likewise, the percentage of consumers indicating they have listened to an audio podcast has grown 163% from 11% in 2006 to 29% in 2012. So while almost half of adults 12+ are aware of podcasting, just under a third have actually listened to one. And of those that had listened to one, less than 1 in 5 had listened to one in the last month. And if we stopped there, we might say that the data suggests we can afford to set podcasting aside. But if you chart the growth of podcast listeners on a graph, as Pew does in their State of the News Media 2012 Report, you see that while small, the growth curve is fairly steady. BUT what the chart doesn’t tell us is the marketing and media world’s interest level in podcasting. Look at the growth of listeners from 2007-2009… pretty solid right? Now go Google Podcasting Statistic Research and see what time period most of the research falls in. Go ahead, I’ll wait. Ok, for those of you that didn’t actually click the link — what you find is a good bit of data from surveys launched in 2008-2010, with a pretty high concentration in 2008 and 2009. That’s an important data point for our consideration because when marketers get interested in something, especially a technology or platform, they research it. Interestingly, the only really recent podcast research I could find is the Edison study, but I suggest you keep an eye out because I’m thinking we’re going to start seeing a lot more being fielded over the next year. Why will we see marketers fielding more research? Mentally plot the 2012 percentage of people who have listened to a podcast on the chart above and pay attention to the angle of the line. Starts to look a whole lot more like 2007 to 2008 right? Which was the beginning of the first significant rise in podcast listeners. So now we just have to wait to see if marketers will follow. Ok, so hold that thought and lets look at another data point — growth of listenership on mobile phones. Also from the Pew Report, check out the growth in people listening to online radio in their cars VIA A CELLPHONE. That’s almost a 100% growth in just one year. But that’s still only 11% of the population…. that’s what you’re thinking right now aren’t you. And that’s ok… because that’s what I thought too until I started to consider what Apple has done in IOS-6. Do you know what I’m talking about? Apple baked a podcast listening app into IOS-6. So now 200+ million devices just became 1-click away from discovering or consuming podcasts. That’s kind of huge because if you talk to anyone on the inside of podcasting and ask them why its growth flat-lined, most folks will cite technology and the difficulty of finding and listening to podcasts as a hurdle to non-techie adoption of podcasts. Which leads us to our final data point for consideration — technology. Did you know you can record and publish a podcast using nothing other than an iPhone and an app like iPadio? Want something a bit more “high end” sounding. Apple’s Garage Band + a high quality USB mic like the Blue Snowball make podcast production so easy a 4-year old can do it. In fact, you can even use the same setup on an iPad to create a lightweight, highly mobile recording studio with super long battery life, that can record, edit and upload from anywhere with an Internet connection. Is 2013 going to be the year of the podcast? Truthfully, I doubt it. But, I do think you’re going to continue to see leading marketing thinkers continue to experiment and create new podcasts. This will in turn begin to introduce and educate the marketing masses. And if next year’s Edison report reveals a continued sharp year-over-year growth in podcasting for 2013, well then, 2014 might just be podcasting’s return to greatness. But that’s just my interpretation of the data. What do you think? I set up the http://www.socialpros.com podcast somewhat as an experiment, but it’s grown to become one of the most important content things I do. Very bullish on podcasting in general for B2B, although you have to realize that (in most cases) the sheer number of listeners may not approach what you do on blog or Twitter, et al but it’s the “right” listeners that drive business value. Interesting Jay… why has it grown to be so important in your content mix? And how are you figuring out the audience there is more “right” than maybe your general blog reader? VERY interested to hear… let us know? I like how you’ve positioned the research and pushed us to think of this from a different angle! I agree, it’s unlikely podcasting will make it’s relaunch in 2013. And quite frankly, with adoption rates being so low up until now, I think we can honestly say podcasting is the Come Back Kid …. that never was. As we discussed at BWE in NYC, there certainly seems to be a strong interest from the social media community, especially the influential voices in the community. I’ve got to think that is going to translate into more brands taking a serious look at the medium. But like all predictions, we’ll just have to wait and revisit next year at this time to see how it turns out. Thanks for stopping over this morning! As you’re aware Tom, I’m more into the video trends, but couldn’t find nearly the same results, largely in part because there is not a common term such as podcasting. With that being said, the trends will continue to increase as more people consume content on their mobile devices. I’m curious to see the distinctions between audio and video as we move into 2013. Thanks for linking to our research, Tom! We’ve covered podcasting in our annual Infinite Dial study since 2005, and I’m pleased to say that the 2013 Infinite Dial study (just putting the questionnaire to bed now) will have an expanded podcasting section. I agree with you that there is a bit of a resurgence happening, as some of today’s best content creators are visiting or revisiting the medium. Thanks for covering a topic near and dear to my heart. You know me Tom, always happy to share good research vs some of the crap that tries to pass as research. Really found it interesting that Edison’s was pretty much the only study that has continued to track podcasting… so will be most interested to see the next installment. As you know, Tom, my buddy Nick Westergaard & I launched a podcast – The Work Talk Show (http://worktalkshow.com/) in October. Interestingly, this podcast is not something that is directly tied to either of our day jobs. It’s not about marketing. It’s not about email (marketing). It’s not about branding or anything digital … for the most part. Instead, it’s about how people get work done in today’s world. I share that with you only to say that we didn’t start the podcast to help grow our businesses. We started it because it was a great excuse for us to talk with crazy smart people (Jay Baer, Mitch Joel, Peter Shankman, etc) and learn a bit about how people work. We hope it’s something that others find value in. But enough about The Work Talk Show (Ha!). To some of your points earlier, it is CRAZY easy to produce this podcast. We did both invest in Yeti Blue mics, but other than that, I use Garageband and Levelator to edit. We had someone record an intro and outro for us, set up a website, Facebook page, and LinkedIn group … and that’s it. I think that’s really the key – low barriers to entry. Also, for Nick and I, it’s a new format that we can test. It has not taken off like Social Pros (shout out to Jay and Eric … who helped us get WTS launched), but it’s been a ton of fun … and again, it’s easy! As you say, I don’t think 2013 will be the “year of the podcast” but it does seem to be making a resurgence. Seriously, it is crazy easy… think back to my Talking With Tom VIDEO podcast… which was all done from my iPhone — no computer needed. Technology has certainly democratized media creation… now consumers just need to have simple, easy ways (ala apple baking in podcast app to their IOS) to find, listen and subscribe to all of this great new content. I’ve been podcasting for many years and not only have I found it to be a great addition to our media miz but I really, really enjoy connecting with folks like yourself. We chatted just a few months ago here: http://www.carbonview.com/blog/2012/06/exploring-digital-strategy-social-media-agency-research-and-mobile-with-tom-martin/ …… and I think we need to do another in the new year! Sorry to your readers about the audio quality but it was a great discussion with you in the car. That brings me to point #2. As more people discover podcasting they’ll see that they can make better use of time that they’d otherwise be spending sitting in the car, on the treadmill or cleaning the house. Every morning as I make breakfast I pop something in my ears and it helps me get my day started. I think I’l put together a list of some of my favorite podcasts on our blog and link back over here. In fact a bunch of us just had a pow-wow about this topic on Facebook. My third and final point about podcasting is that if you as a creator are consistent it is not difficult to generate a very engaged audience. People who love podcasts really LOVE podcasts and are always seeking new and interesting content. The aggregate numbers almost don’t mean anything. What matters is whether you are covering topics of interest Do that and you’ll find success. Great point about the podcast we did while I was driving! I didn’t even think about that facet… I love BlogTalkRadio’s approach. Two people, two phones one phone call and presto, instant (live and recorded) podcast. And I think you’re on to something with the loyalty comment… folks who are into podcasts, are into them and always looking for more good ones. Fascinating. I have recently got involved in online radio myself – in a growing group on #Woohoo Radio. Each of us has our own unique voice and topic. Mine is Le Chic Speak – which is about celebrating a woman’s voice. The numbers are growing monthly and I have had the same response as Keith in the sense of people listening to podcasts. Precisely because it is accessible, you can do them while doing other things (which you cant with video or reading) and more importantly and I think this is key, we are living in a time of awakening and personalization. Podcasts are becoming the new radio. People can listen to opinions, learn, connect, grow that is not trying to stuff factory generated thought down their throats. The world is thirsty for new knowledge, new thought leaders. Most people are used to seeing everyone wear earphones, no matter what they are doing. Music is great but sometimes conversation or a chance to learn is even more stimulating. Its free choice. There is a plethora of topics. I get most of my audience from twitter and have had some really incredible comments about what the podcasts are doing for my audience. Its brilliant. The small dog that no one sees in the room. You cant read or watch while you walk, drive, or do housework or wait for the train but you can listen, absorb and change. I personally know a bunch of women in particular that have started their own shows. Its the modern equalizer..no limits, few requirements Communication is the newest old game in town. People want to share opinions, get involved and make a difference. Anyhow that is my two cents… and I found this article very interesting. Thank you. This is not only true about the marketplace but also in schools. Do you know of any research that has been done with podcasting in schools. I would be most curious to know the stats on that. I am trying motivate teachers to use this as a supplementary tool in teaching and show them just how easy it is to use. My website is just my demo page for them to look at and understand how it works and how it can be used. I’m afraid I don’t know of any research like that… but agree, great easy tool. I’ve been teaching people how to podcast since 2005. Its amazing that in 8 short years I’ve watched podcasting go from being hard wired (ipods that needed to sync) to iphones that can update anywhere. Now there are services like Stitcher that make streaming podcasts in the car super easy. It’s amazing. People often get impatient and want to “Flip the switch” to get 10,000 listeners over night, but hang in their people. Every chart I see on podcasting is going up. Who knows where it will be in another 8 years. I think we’ll definitely see a bump in the next few years as marketing and social consultants jump on the bandwagon. If all of these new podcasts succeed in establishing audience and driving ROI for the brands behind them, then I think you’ll see Podcasting get a lot more traction. If they don’t, then we may very well see another drop off like we did a few years ago. Only time will tell.